Hans was instrumental in helping people see data in a new way. Through his legendary TED talks, he introduced people to the joy of exploring data. And he founded Gapminder, a nonprofit “fact tank” that sheds light on global development issues like extreme poverty and child mortality. But to the Tableau community, Hans wasn’t just a world-famous statistician; he was also a friend. 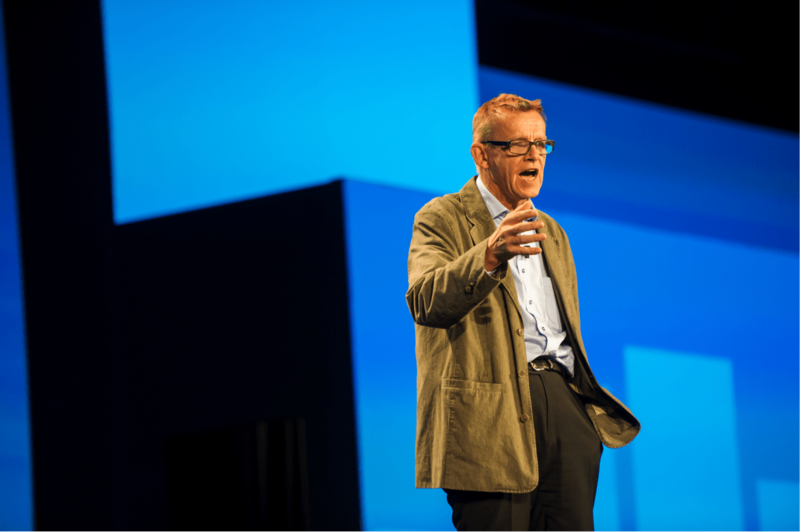 Hans first joined us for our 2013 conference in London and again for the Tableau Conference the following year. We had to persuade him to make the trip all the way from Sweden. But once he arrived in Seattle, he was bowled over by the warm reception. He had found his data people. On and off the stage, Hans was humble and down to earth. I remember Hans insisting on preparing his own computer for his keynote. Despite his fame, he was always very real. Prior to his TC session, Hans requested that we provide a long, extending stick. And I wondered: What the heck does he want a stick for? Once he took the stage, we all learned why. He’d needed to create his manual mouse. Hans was big into props. He also asked for several rolls of toilet paper he then used to build a viz right on stage. It was such a memorable session, and afterward, many people rushed to the stage to grab one of those rolls that Hans had used. At both conferences, people waited and waited for a chance to meet Hans and get his autograph, drawn by our common love of seeing data in action. With each person, he was humble and engaged, taking the time to connect. Hans, thank you for all you’ve done to inspire us and advance our field. We sure wish you could join us at TC17. Paying Homage to Hans, RIP. Can't find the |> play button, is it my browser issue (IE11)? 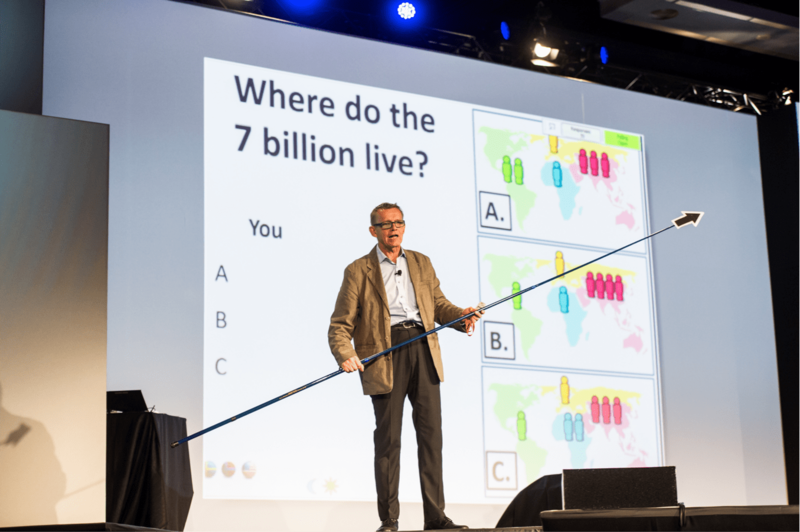 Anyway, passion prof Hans Rosling showed to data viz was outstanding and so contagious! First watched this TED talk in college and was moved by the detailed execution of data. 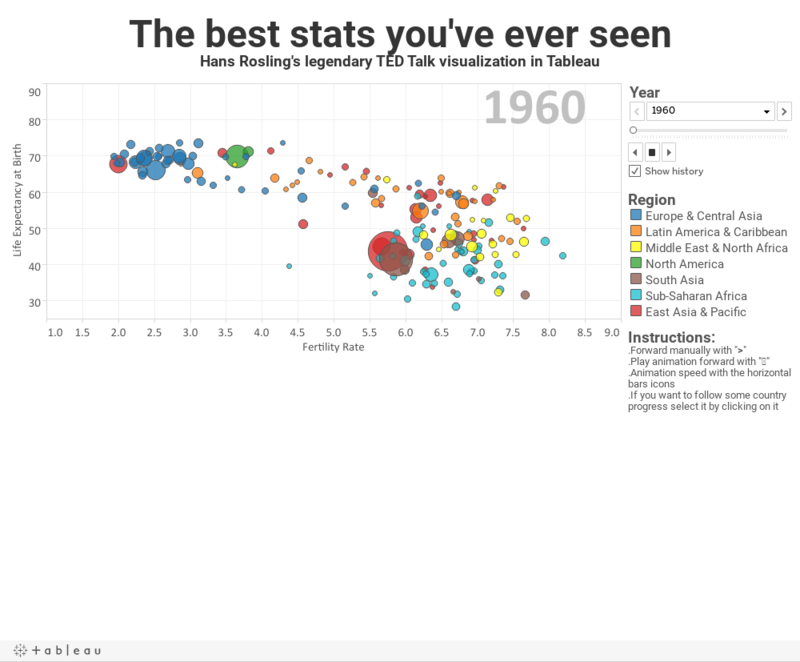 Now I work with Tableau amongst other programs at RMS, thank you for the inspiration Mr. Rosling, you will be missed.